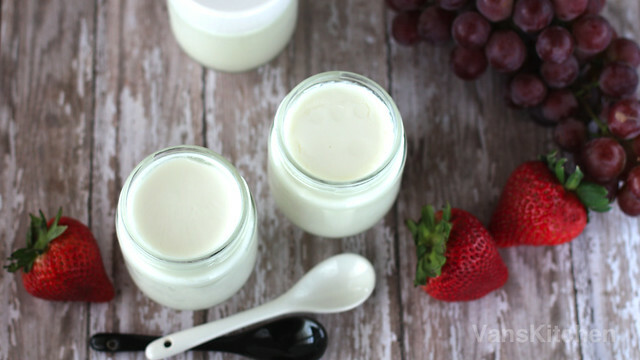 Making yogurt is so easy and economical. And it's so yummy! Most of store-bought yogurt I've tried is either too plain or too sweet. 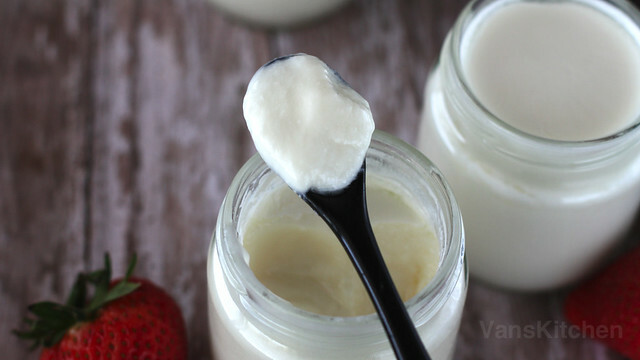 My homemade yogurt turns out just great. 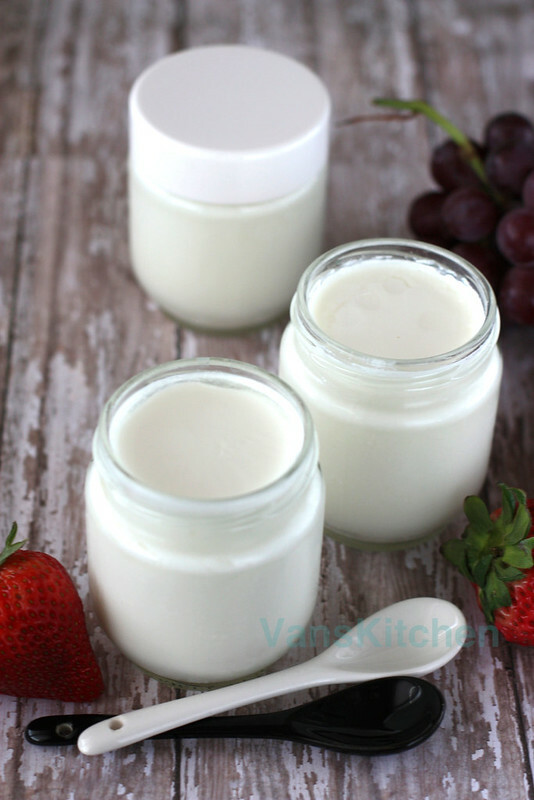 Making yogurt has become a regular routine in my home now, and it's really easy with a yogurt maker. I use Yogourmet yogurt culture which has additional probiotics. But if you can't find it, you can use plain yogurt with live cultures as a starter. In that case, look at the ingredients list to make sure Lactobacillus bulgaricus and Streptococcus thermophilus are included. Mix well condensed milk and milk. Add the yogurt starter in a small amount of the milk mixture, stir to dissolve, then pour back into the mixing bowl and mix well. Using a pitcher or a funnel, pour into the yogurt jars. Cover the jars, place them in the yogurt maker. Cover the yogurt maker and turn it on. When the yogurt reaches your desired firmness, turn off the machine. Put the jars in the refrigerator then serve. I use whole milk, and it usually takes at least 12 hours. This looks delicious! What makes a "vietnamese yogurt"? Mine has been in the maker for over 12 hours but they're still in liquid form and dont have the sour yogurt taste. What did i do wrong? Hi Yvonne, I'm sorry for late response. I actually got the same question from an other person who also had the same problem. She said it took her over 24 hours but still in liquid, so she left them at room temperature 1 night and the next day, she plugged in again and it worked for her. My yogurt maker has never had any problem like that but it now seems take longer than 12 hours. I just leave them in the maker until it's set. How did your yogurt turn out? This looks delicious! I always love making the new recipe for my family. I will try it for sure. Can you tell me where I can found a good quality yogurt maker? One of my neighbors suggests me to visit here and also said that from here I could found various types of the yogurt maker. If you had any suggestions about this, I would much appreciate it. Thank you.